Tuberculosis bacteria. Computer artwork of Mycobacterium tuberculosis bacteria. 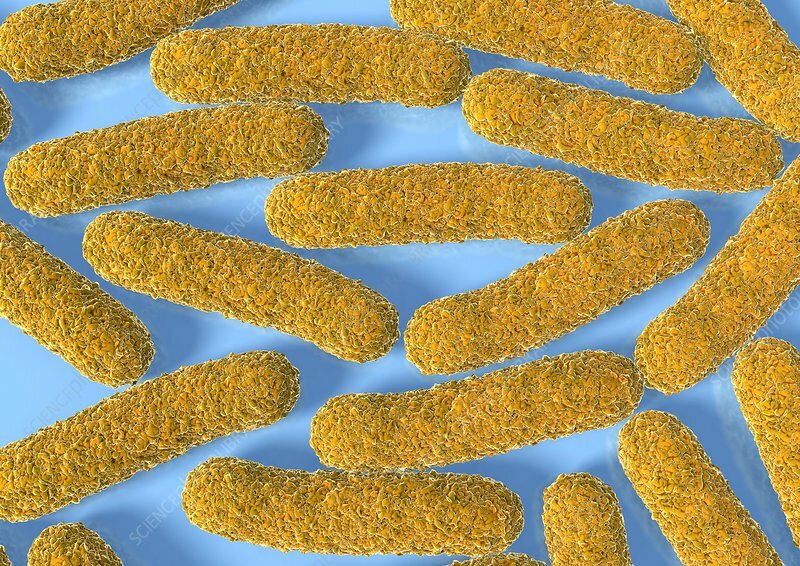 These Gram-positive rod-shaped bacteria cause the disease tuberculosis. They infect the lungs creating primary tubercles, nodular lesions of dead tissue and bacteria. The bacteria may enter the blood or lymph system and spread to other organs of the body. Tuberculosis is spread by coughs and sneezes. Treatment is with antibiotics.